It's a big fat Greek no. No to more austerity, no to a bailout deal, and -- quite possibly -- no to the euro. After years of living on borrowed money and paying the price with savage austerity, early tallies show that voters in Greece have rejected the latest offer of financial help from Europe and the International Monetary Fund. The vote could lead to the country's exit from the eurozone within weeks. That's because Greece needs more money from Europe to stay afloat. 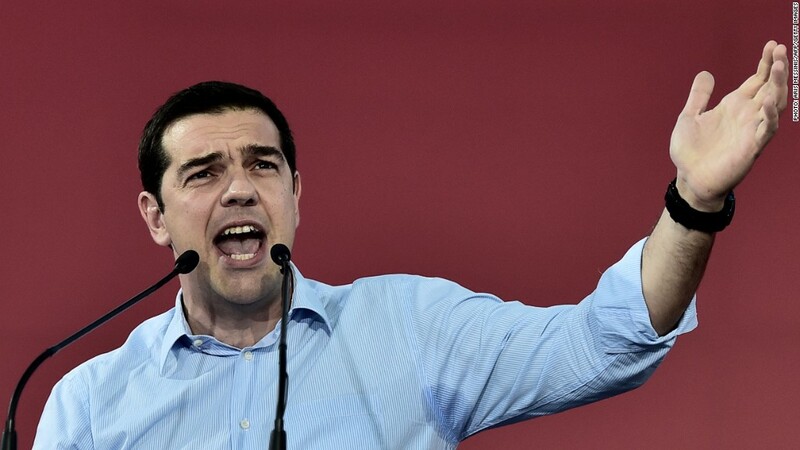 The result marks a victory for Greek Prime Minister Alexis Tsipras, who urged his country to vote "no." He believes that will strengthen his hand in talks with creditors. He wants to negotiate a bigger bailout with less painful terms, and a chunk of debt canceled. But European leaders have said ahead of the referendum that any new bailout would come with strict conditions attached -- something the Greek voters overwhelmingly rejected on Sunday. German leader Angela Merkel will meet with French President Francois Hollande on Monday night, and the European Central Bank bosses are also set to discuss the crisis. If Greece can't get more bailout money from Europe soon, it will have to pay pensioners and public sector workers with IOUs. The country cannot borrow money from the international markets, because of very high interest rates. Greek banks, already closed for a week, were supposed to reopen on Tuesday but will have to stay shut or get new funding from somewhere. They depend on emergency cash funding from the European Central Bank. That funding lifeline has already been capped in the past week and might now be severed. Greece could be the first country to be forced out of the eurozone, the bloc of 19 European nations that have given up their currencies and use the euro instead. It is even less clear what would happen to Greece's membership in the European Union, the broader political union of 28 European nations that sets common policies on trade and other issues. The rapidly moving events in Greece have split legal experts. There is no precedent for what is happening in Athens, and the European treaties do not have any provisions for a country leaving the bloc.